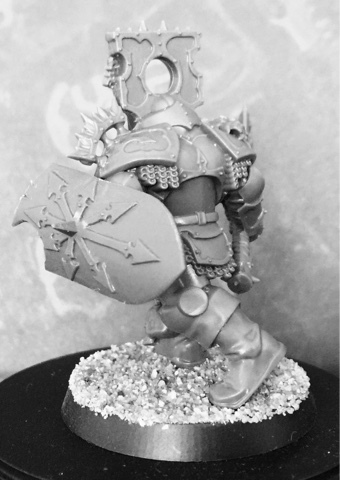 I've decided with all the awesome muscled barbarians and insectile mutants cavorting around, I would focus on the heavily armoured aspect of The Dark Gods. 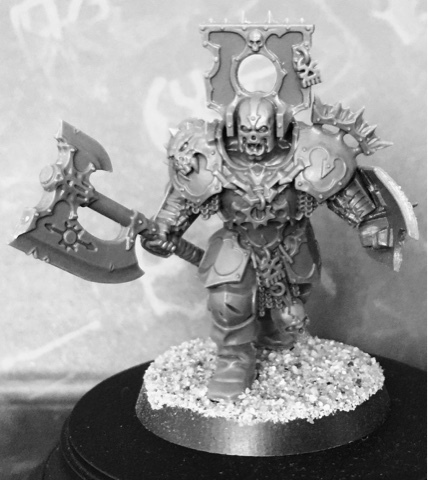 Quite a simple yet effective conversion of the new Age of Sigmar Khorne Warrior. Looking forward to a massive bits rummage at the weekend to add some more sinister cohorts to join him. Great! Had an idea to use shields and you beat me to it! Looks ace! Pwah! He looks brutal, man! Great little effective conversion. Can't wait to see him painted and what else you have in store!